Such a great outfit, looks perfect for this season and oh so cosy! Uh, love your shirt, so adorable! 'rock and rose' - i love that. it's the perfect name for the crown! it suits you very well. This is such a nice outfit and the crown is so pretty, not too big! Wow, that's such a beautiful outfit! I love it! And the crown is really lovely. You look lovely! Love the shirt and pop of colour on your rose crown. Smock dresses look so great on you! Love the little flower crown. 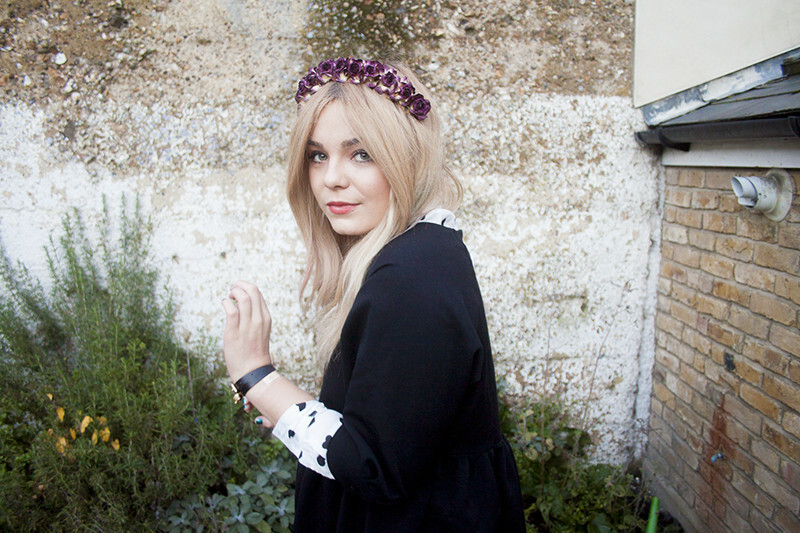 Great outfit, floral crowns really suit you! Love this outfit, that dress is so nice! 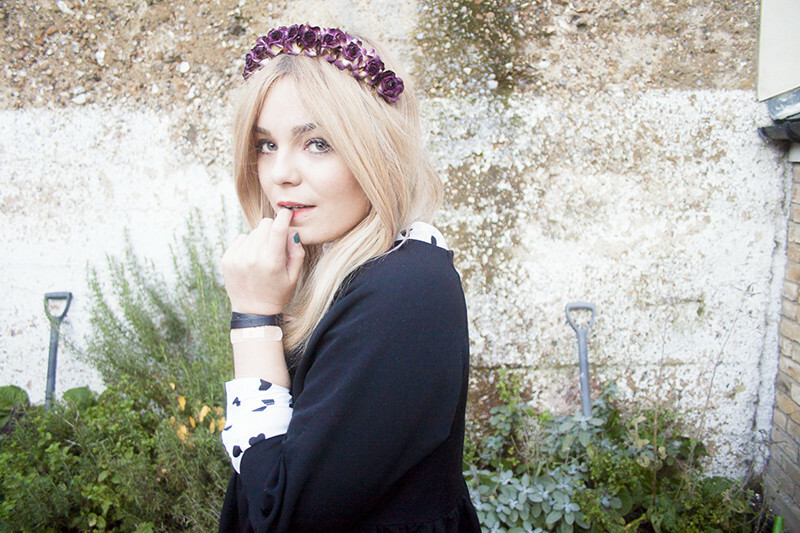 I'm a massive fan of rock 'n' rose, their floral headbands are especially amazing! super pretty! 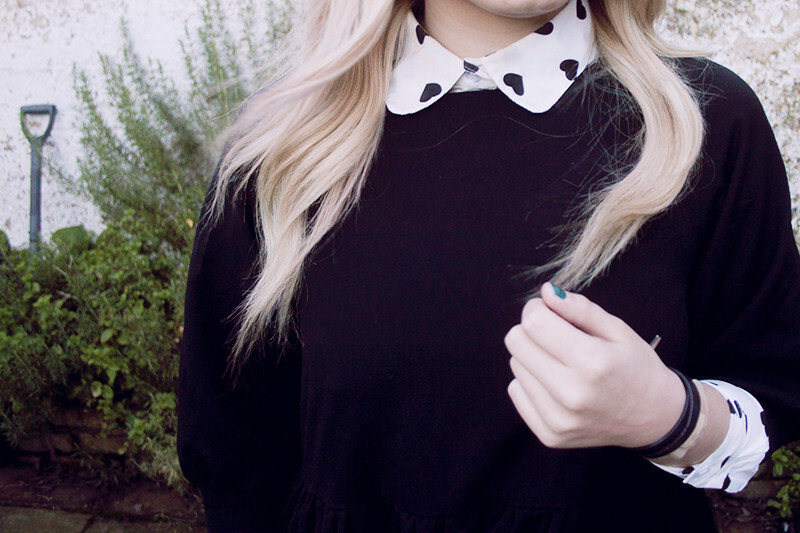 i love the combination of the dress and the blouse! you look fantastic! I really love your selection..
Love how you have paired the dress with the shirt, fab look. love the layering, defo gona try it with a dress and shirt myself!